Josh and I decided one of our big meals for this week should be lasagne. We have been trying to eat a little more healthfully so we wanted to add a bunch of veggies. 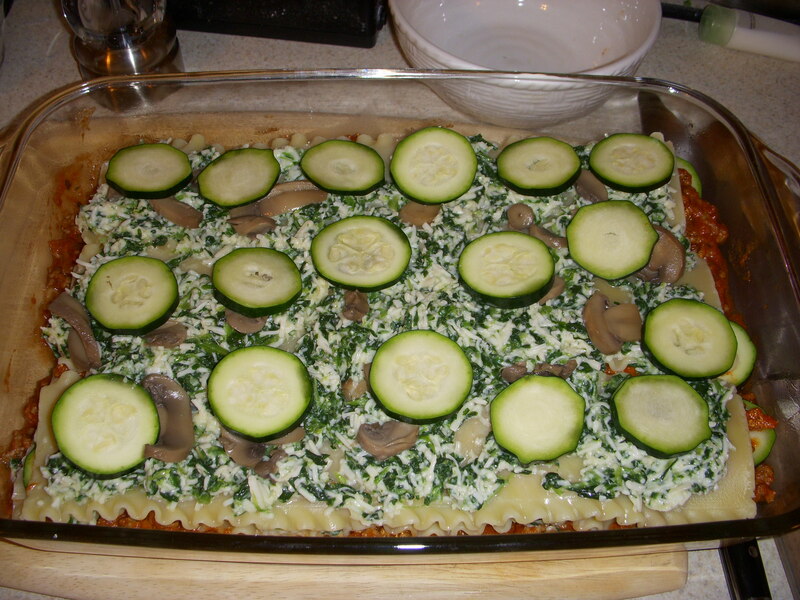 We decided to add zucchini, spinach and mushrooms but I bet it would be great with other veggies like carrots as well. Neither of us eat much cheese and Josh asked me to make him cheese-less lasagne like he ate as a boy. I did want a little cheese so we agreed on no ricotta but some Parmigiano-Reggiano and reduced-fat mozzarella. Oh, and meat! Because it is not a meal without some meat! I browned the meat with the onion, garlic and pepper, draining the fat as I cooked. While the sauce was simmering, I boiled the noodles and made the cheese mixture. Once the noodles were cooked I quickly rinsed the noodles with cold water so that they would not stick together while I layered the lasagne. I did a little research on lasagne recipes and most included some eggs to help keep the cheese mixture together, with or without ricotta. I also found that most people add the spinach to the cheese mixture. 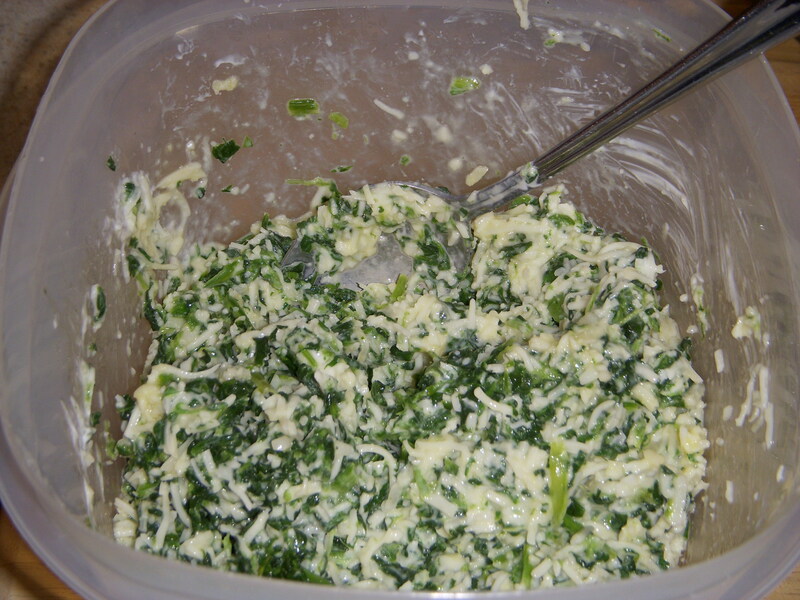 The spinach should be rung out to remove the extra water so the cheese mixture is not too watery. I had some leftover yogurt hanging out in the fridge and I thought it would help the cheese mixture glue together a little, adding a little tang and replace some of the smoothness lost when we removed the ricotta. I mixed the two cheeses, eggs, spinach and yogurt together, reserving about 1/2 cup of mozzarella for the top of the lasagne. 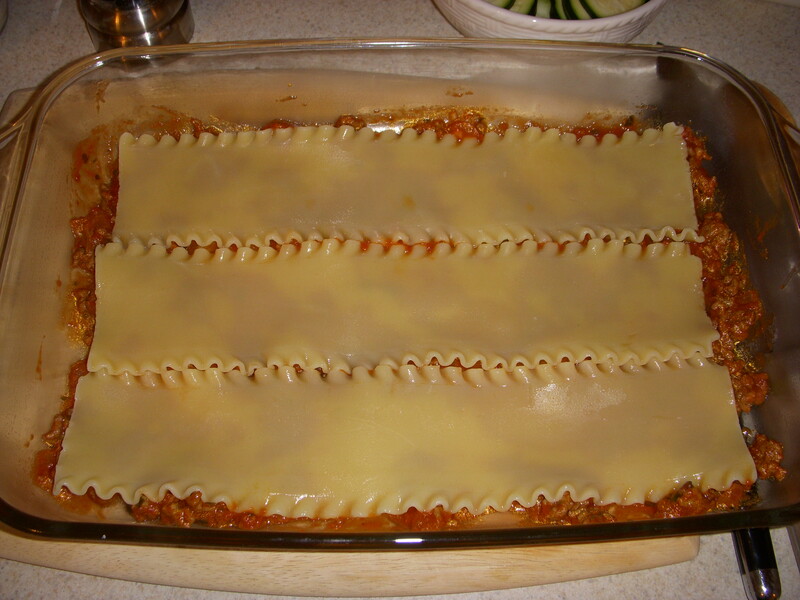 After the noodles were cooked, drained and rinsed I started to layer the lasagne. First I lightly oiled the pan with some olive oil. 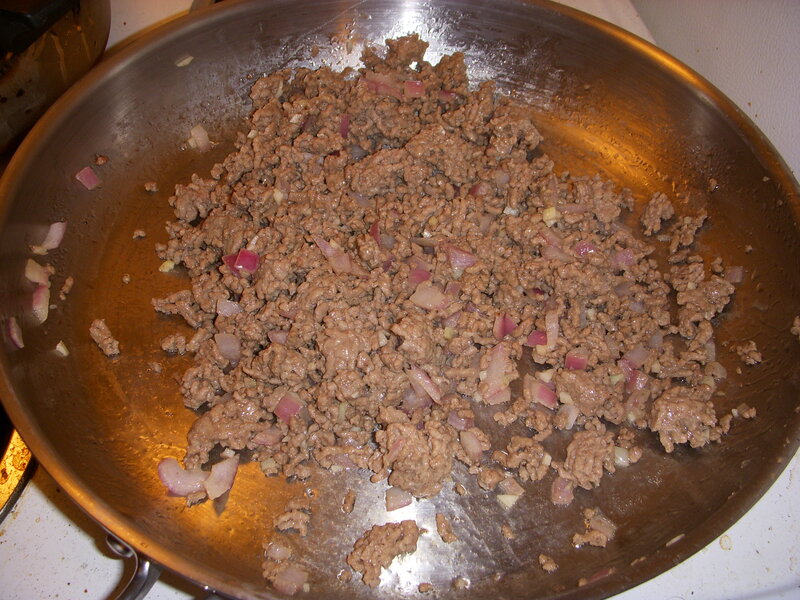 Then I added some meat sauce and a layer of noodles. Then I spread 1/2 of the cheese mixture, 1/2 of the mushrooms and zucchini. 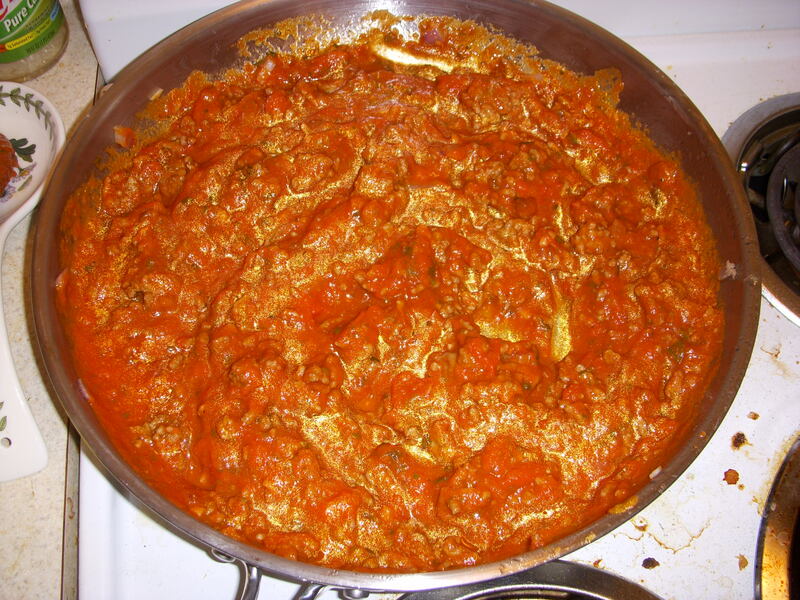 I spread another layer of meat sauce and noodles. 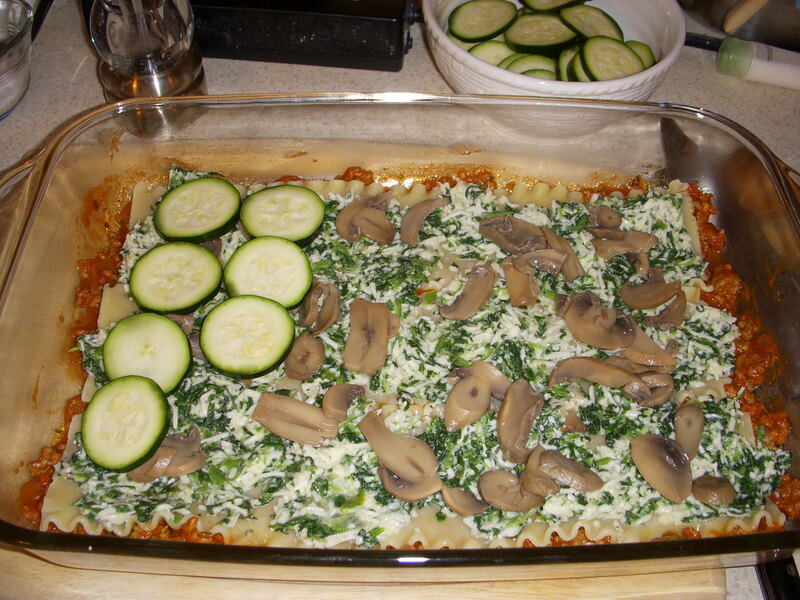 Then I spread the remaining cheese, mushrooms and zucchini on to the lasagne. 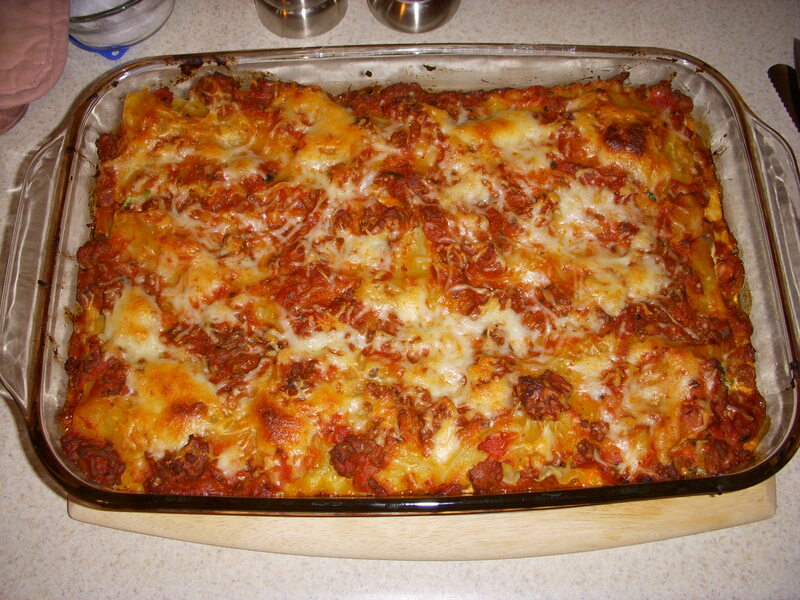 I finished the lasagne with a layer of sauce and noodles. Then I put the remaining sauce on top making sure to cover all of the noodles. This is important to keep the noodles from getting too crunchy just like covering all of the tortillas with enchilada sauce keeps enchiladas from getting too crunchy when you bake it. Finally, I topped the lasagne with the remaining cheese. The lasagne went into a 350*F oven for 40 minutes, turning once. I was very pleased with the results! 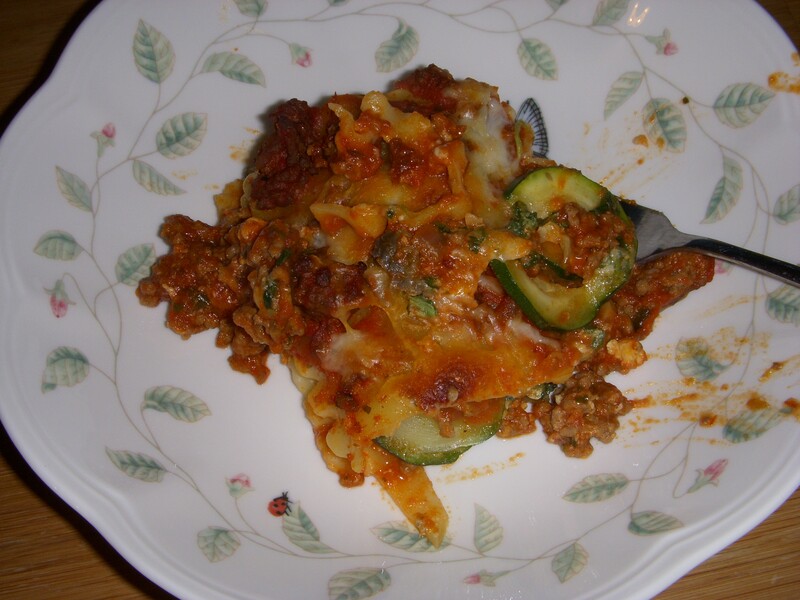 The lasagne was not super cheesy but you could taste the cheese and that is the important part. One downside to reducing the cheese is that the lasagne did not hold together very well but it tasted great anyway! 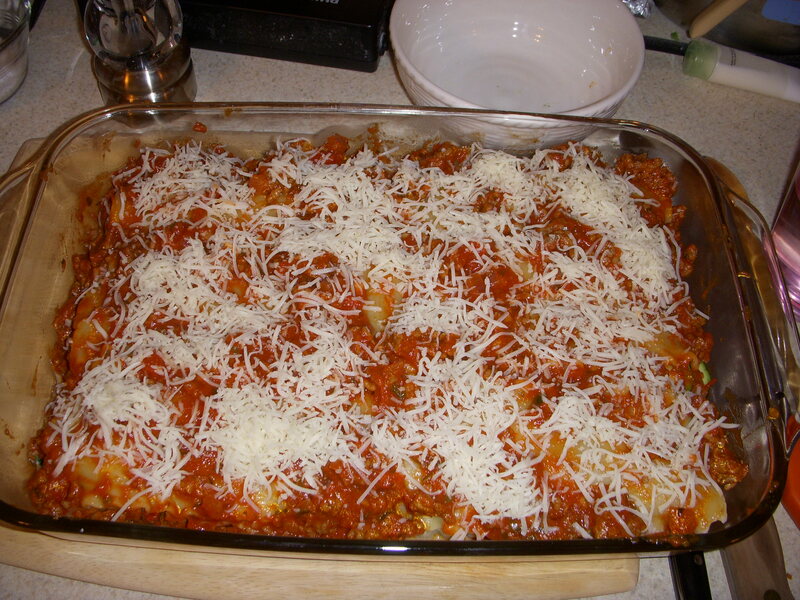 This recipe is pretty much an original, though I did a canvas of many lasagne recipes from all over the web.